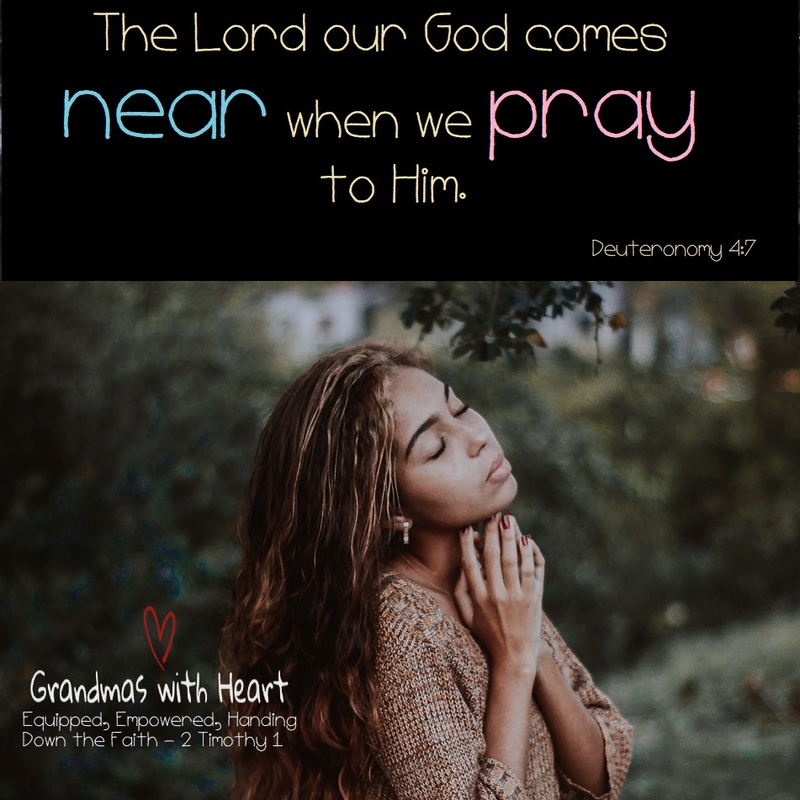 grandma's cookie jar: Pray - God Will Come Near! Yes! The way for us to feel close to God, is for us to pray, because when we do, God comes near to us! So, pray! Pray today for your own walk with God. Pray for your sons/daughters and sons-daughters-in-law. Pray for your grandchildren. And, share with them how when they pray, God will come near to them as well! 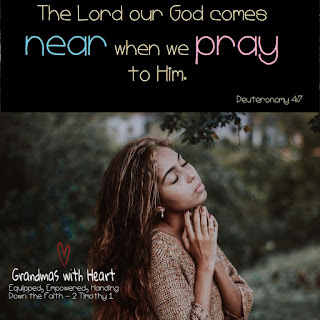 Hold tightly to this truth - when we pray, God comes near to us. Make this your prayer in the coming week - Dear God, thank You for Your great mercy and love for me. Thank You when I pray, You come near. Please remind me of this truth and help me hold tightly to it in the coming week, no matter what this week holds. And, please help my children and grandchildren learn and hold tightly to this truth as well. Thank You again, Amen.